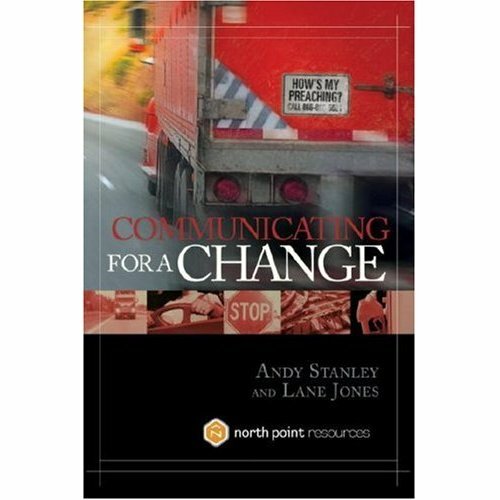 Review: Communicating for a Change, by Andy Stanley and Lane Jones. Peter, thanks for your review. I’ve recommended this book to all the adult teachers in our church, as well as many Bible teachers I coach. Though written to preachers, many of the key messages work equally well for teaching adults in large and small group settings. I believe Andy Stanley focuses on the parts outside of the biblical text study because that’s where he believes his recommendations have the greatest opportunity to help preachers connect with listeners/learners. Keep up the good work with this blog, many of us are learning a lot from your posts and guidance. You’re the man. I appreciate this blog as well. You make me think. You cover things books don’t. This post is not different. I am going to get this book and read it soon. I have heard Stanley. He’s a contemporary expositor whose aim is to be biblical and relevant. I can’t believe how Haddon has influenced preaching even to today. It’s just amazing how the big idea approach is still the way to preach. Great book–my favorite on preaching. If you’ve not seen Andy Stanley preach before, I’m sure you’ll be pleasantly surprised. The man is an amazing preacher and teacher, and thoroughly biblical! He excels in what J. Vernon McGee used to refer to as taking the cookies off the top shelf and putting them within kids’ reach. I wish that he would have included a Message prep example or an actual example that would flesh out the book into its final components, it would answer a couple of detail questions that I have, but it is a great book that has totally change the way I approach speaking to students.